-New restaurant alert: the former Doc Chey’s restaurant on Biltmore Avenue is going to be home to Shanghai Dumpling House, according to construction permits. Doc Chey’s closed in the summer of 2017 after a 15-year run. Its 37 Biltmore Ave. location has been vacant ever since. WLOS reports that the restaurant is the work of the owners of Shogun Buffet in Asheville. -Earthling Coffee & Espresso, a new drive-thru coffee shop, has opened at 867 Smokey Park Highway out in Candler. -Ego Food Co., a new Asheville food truck, plans to post up at 644 Haywood Road in West Asheville starting in April. That’s next to Haywood Country Club bar. -White Labs Fermentation Festival in Asheville is scheduled for noon to 6 p.m. on May 26 at its location on Charlotte Street. The event, with nine vendors, will celebrate local fermentation. -A new food delivery service called Kickback AVL has a unique twist: some of its money goes to the nonprofit Asheville Cat Weirdos group that helps local felines. -Shanda Sandford and Martha Geithner were reappointed to four-year terms on the Asheville City Board of Education by Asheville City Council, according to Mountain Xpress Managing Editor Virginia Daffron, who tweeted the news Tuesday afternoon, while James Carter was appointed to serve unfinished two years of James Lee’s term. -AdClub WNC will host Sesame Workshop’s Veronica Wulff to Asheville from 6-8 p.m. on Thursday at Mojo Coworking on North Market Street in downtown. Wulff is Director of Media Production, International Social Impact for Sesame Workshop, and is responsible for the creative development and production of new and existing international properties, according to AdClub WNC’s announcement. In this presentation, advertisers and marketers will learn how Sesame Workshop approaches making a show for their young audiences, how they continue to shape and change with the times without compromising their brand, and how they adapt one show to the various markets around the world in over 150 countries over the past 50 years. This event is open to AdClub members and nonmembers. Go here for more info and tickets. -Les Vann, who worked as vice president/general manager of WLOS from 2002-04 and is currently VP/general manager at Fox Carolina in Greenville, SC, has announced he’s stepping down as he continues battling Parkinson’s disease. 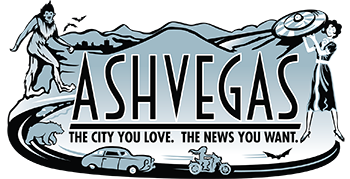 -The first annual Asheville Tattoo Arts Conventions is set for April 26-28 at the U.S. Cellular Center in Asheville. -A disc golf “urban skins” event is also planned for May 26 in Asheville. The Mountain Disc Golf Experience is planning for rolling street closures on the South Slope to accommodate the event. It was great meeting you yesterday at Alley Cat. I would like to discuss with you the possibility about running a story. Not just for my new bar, but I have some great true, yet unbelievable stories about Asheville that could catch some serious attention. Let’s talk.